turn your ideas into an adventure. Judith Audu Productions (JAP) was incorporated in Nigeria in 2013 with a mandate to elevate the quality of content in the film television industry in Nigeria. As an independent production outfit, we are poised to take on challenging and unique films, television drama and television shows rich in social and artistic values. Our initial offering, Not Right, which is a social commentary on increasing wave of violence against women in Nigeria is an example of the kind of innovation and dare which this company hopes to bring into the fast developing film making industry in the country. Our first feature, Just Not Married was a high-risk project, where we dared to feature a cast and crew of entirely new faces, yet we were able to make a statement that earned us industry respect and a seat on the reserved tables of veteran filmmakers. Just not married was screened at the Toronto International Film Festival where it got standing ovation form a sold out audience filled with foreigners, it was highly acclaimed and was called the favorite movie of the staffs of TIFF, still basking in the success of the movie we recently won an award for the Best Nigerian Film at the Eko International Film Festival 2016, Best Actress at the Abuja International Film Festival and Best of Nollywood Film Festival, went on to screen at over 6 film Festivals worldwide, e.t.c. Although we are incorporated in Nigeria, JAP is determined to make its mark on the global map of filmmaking and content production for Television. Of course, we do not plan to go it alone and so we shall from time to time, work with some of the best hands in every part of the industry towards the production of qualitative programming, which would make Nigerians proud. JAP is for ‘Just Absolute Perfection and we count on you to trust us on this journey providing nothing but perfect productions. 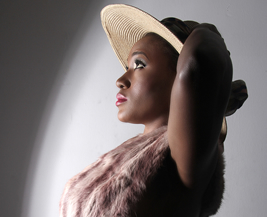 Judith Audu is the founder. She is an Actor and a Blogger. She has been in the industry for over 5 years and have studied it well learning from some of the best. To make sure the company that is still in its teething stage fast become a full-blown production house, she put together a team of seasoned professional directors. She is a hardworking, intelligent and always strives for quality. Her acting credit includes: Emerald, Tinsel, Stopping Kloe, Out of Fire. Alpha Mum, Huzzel, Seekers, Burning Spears, Rumour has It, e.t.c. 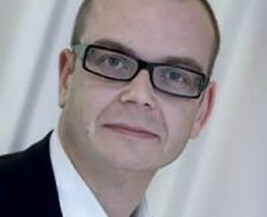 Morten Lemb Foght Has over 16 years experience as a CFO. He has worked internationally with various Global companies building up their international organisations. He is also a recruiter that has successfully hired the best candidates to the most highly sought after roles worldwide. In his first years as a recruiter he has been involved in more than 100 placements in more than 10 different countries in Africa..
Femi Sowoolu is a broadcaster, journalist, public commentator, scriptwriter, social media activist, author, raconteur, media consultant, voice-over artist, programmes designer and producer. 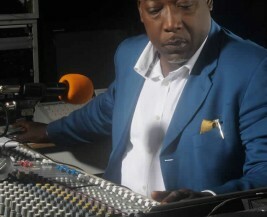 He has worked with the Ogun State Broadcasting Corporation. He then joined Grant Advertising, Nigeria, a leading Nigerian advertising agency and member of the McCann Ericsson Worldwide Group, and left to set up FM Productions. Submitting again to the lure of the radio environment he joined Rhythm 93.7 upon inception, guiding the station to an enviable number one position on the ratings. In the years since, he has been Director of Radio Services at Radio Continental, the radio arm of Continental Broadcasting Services, also employing his clout and experience to bring the station to leading position in the Nigerian broadcast environment. He was General Manager of Smooth 98.1 FM, further also leading that station to greater prominence in the Nigerian broadcast space. Femi also consulted for City 105.1FM, Lagos, and the new Space FM, Ibadan. To those he has guided, Femi is regarded as the ideal example of leadership excellence.